We're working with Think Equal to incorporate music-making and empathy into their early years program. Our goal is to have our joint curriculum become mandated as a new subject in the compulsory curriculum of schools everywhere. 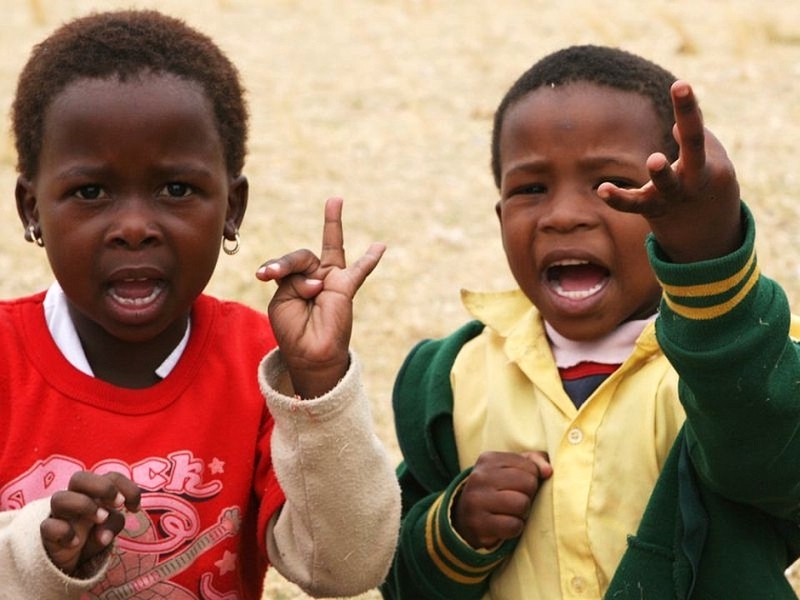 The Watoto Project works with children aged 3 to 6 in early learning centers around the world. These young children become the leaders of tomorrow. When the values of empathy and equity are instilled in the early years, these children will possess the emotional intelligence, gender sensitization, peaceful conflict resolution skills, and appreciation and celebration of diversity required to become empathetic leaders in their communities. It's simple. Think Equal and Children in Harmony call for a whole system change in education that allows for emotional intelligence and gender sensitivity to become core subjects as important as math and language arts. This is a necessary first step on the path to end discrimination against people who are not exactly like us, and to put a stop to the cycle of violence across the globe. These early interventions are grounded in neuroscience, which highlights the importance of promoting social-emotional development between ages 3-6. Intervention research has shown that children can practice and improve social-emotional skills with activities like those in the ThinkEqual/CIH program. Activities that encourage children to pay attention, follow directions, respond to different cues (e.g., music), and practice recognizing emotions in themselves and others have been linked to significant increases in self-regulation and social-emotional skills and these skills are linked to short- and long-term social and academic success. We believe that the earlier we start teaching social and emotional learning to children, the greater chance we have for children everywhere to become thoughtful adults who will change the world for the better.